Since 1969 International Tire and Service Center has proudly operated in the City of Sarnia as a family owned and operated business. We started off as a small shop on Murphy Rd as a General Tire dealer and joined the Michelin family as an Alliance Tire Dealer years later. We employ 5 licensed tire technicians 3 commercial truck mechanics and 2 passenger and light truck mechanics who provide integrity, products and service that exceed our customer expectations. Along with our technicians and mechanics we have 3 highly skilled and knowledgeable service writers with many years of experience. We are located at 1405 Confederation St, just west of Hwy #40. Just look for the blue and yellow building 3 doors down from Tim Hortons. Need to be somewhere? Ask about our shuttle service! 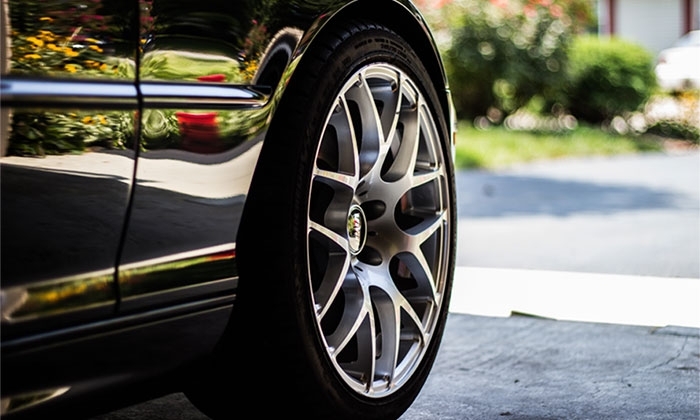 We offer a full line of brand name tires for cars and light trucks from top manufacturers like Michelin, BF Goodrich, Uniroyal, and many more. Custom wheels, winter rims and accessories complement our extensive line-up of tire brands. We do more than just sell tires and wheels. At our location we provide many automotive services like brakes, wheel alignments, battery replacement, seasonal maintenance, and much more. Our service department installs quality auto parts and is backed by our reputable warranty. International Tire specializes in auto repair and can help you with almost any problem or concern. We also offer tires and service for commercial truck applications. Detailed service records are always available so you’ll always know what was done and when. We want customer loyalty and we strive for that loyalty every day. © 2019 International Tire & Equipment Ltd. All rights reserved. Web agency Vortex Solution.